Summary: In this YA heist novel, a society girl with a sketchy past leads a crew of juvie kids in using their criminal skills for good. It took me a while to buy into Drea and Xavier’s budding romantic relationship, as I felt like it had very little to go off of early on. The scene at the restaurant was one of the turning points for me as I finally started to feel like there was something of substance between them. (Kimberly Reid touches on race and class issues in the novel, whether that’s anti-black racism or the poor in the criminal justice system.) Once they really start opening up to each other, their relationship was one that I was happy to root for. Drea is an engaging narrator, and I particularly enjoyed her casual (and often humorous or snarky) observations. I wasn’t as fond of the other scattered and weaker viewpoints we got in the book, though I understand why some of them were absolutely necessary. Drea’s attempts to balance her current image against her family’s past were an interesting push-and-pull act that definitely upped the pressure in her life. This was very apparent in her initial attitude toward the Justice Academy students, particularly since her own family made its wealth off of crime and were simply good (or lucky) enough not to be caught by authorities before they fled town. Drea slowly confronting her own privilege and bias was a great part of the story. My one major nitpick is that I wish Gigi had been a more plentiful presence in the book, though I can understand why she wasn’t. As it is, she was absent for long stretches of it and got even less screen time than Jason, who was one of the least interesting good guys for me. However, Gigi was always unforgettable when she was on screen. Tiana was another memorable character who I wished had taken up more space in the novel. Recommendation: Get it soon. 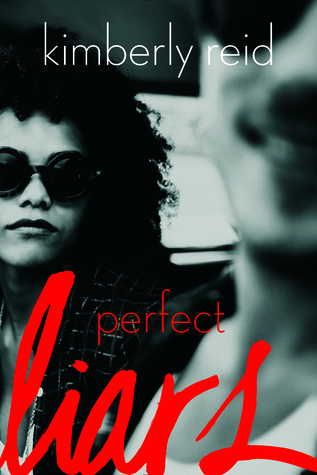 Perfect Liars is a solid entry into the YA mystery genre. While I have a few gripes about the pacing and the initial romance, once the mystery kicks into high gear and the characters really start to open up to each other, the book becomes great. I’m looking forward to future books from this author.